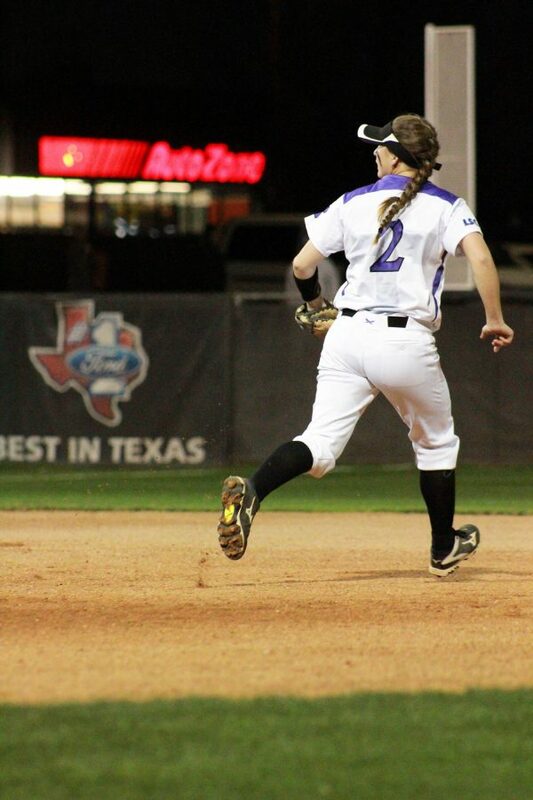 Marisa Flores running to protect second base. This weekend the Tarleton State University TexAnn softball team will take on the Eastern New Mexico University Greyhounds. The TexAnns and Greyhounds will face off in Portales, New Mexico. The TexAnns are 1-2 in conference play and 9-7 overall, they are in sixth place the Lone Star Conference. During last week’s series TexAnns, pitcher Jordan Withrow and infielder Amanda Conner were both recognized as Lone Star Conference top performers of the week. Conner, in five games had six hits in 11 at bats. She brought four runners in, one run, a double and her first career home run. Withrow pitched the TexAnns to their first conference win against Texas A&M Commerce University. Withrow held the Lions and only let them get five hits in eight innings. She also struck out six Lions. The Greyhounds at 3-0 in conference play and 8-11 overall. Eastern New Mexico and Angelo State University are currently tied for first in the LSC. The TexAnns and Greyhounds will face off this weekend in Portales, New Mexico, the games are on Friday at 1 p.m. and 3 p.m. and Saturday at 1 p.m.